On Feb. 9, NIOSH presented the 2019 Safe-in-Sound Excellence in Hearing Loss Prevention Award to Kurt Yankaskas, a program management officer with the Noise-Induced Hearing Loss Research Program of the Office of Naval Research. The award recognizes Yankaskas’ contributions to the prevention of NIHL and tinnitus through effective practices or innovations directed toward workers who are exposed to noise on the job. According to NIOSH’s press release, Yankaskas manages a comprehensive research portfolio that led to innovative approaches in managing exposure to noise for U.S. Navy personnel. The NIHL Research Program funds a wide portfolio of research and implements and evaluates the solutions it has developed, including noise control for ships, aircraft, and equipment; NIHL surveillance and risk evaluation; medical treatment of NIHL; and improved hearing protection for Navy personnel. Examples of the program’s technological innovations include a smartphone app that provides information about hearing protection and a computer program for designing ships that have noise control features. “While the primary objective of the program’s innovative portfolio is to benefit service personnel, the research results are directly applicable to the civilian world and led to the transfer of technologies and interventions to general industry,” NIOSH’s press release reads. Presentation slides about the NIHL Research Program are available on the Safe-in-Sound website. 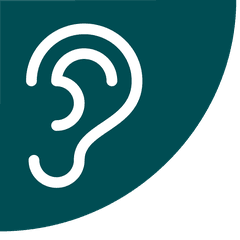 The Safe-in-Sound Awards are presented annually by NIOSH in partnership with the National Hearing Conservation Association and the Council for Accreditation in Occupational Hearing Conservation. The awards recognize those who are striving for excellence and creating innovation in their hearing loss prevention programs. NIOSH, NHCA, and CAOHC are accepting nominations for the next round of awards. For more information, visit the Safe-in-Sound website. Self-nominations are allowed. Completed nominations are due July 15, 2019.